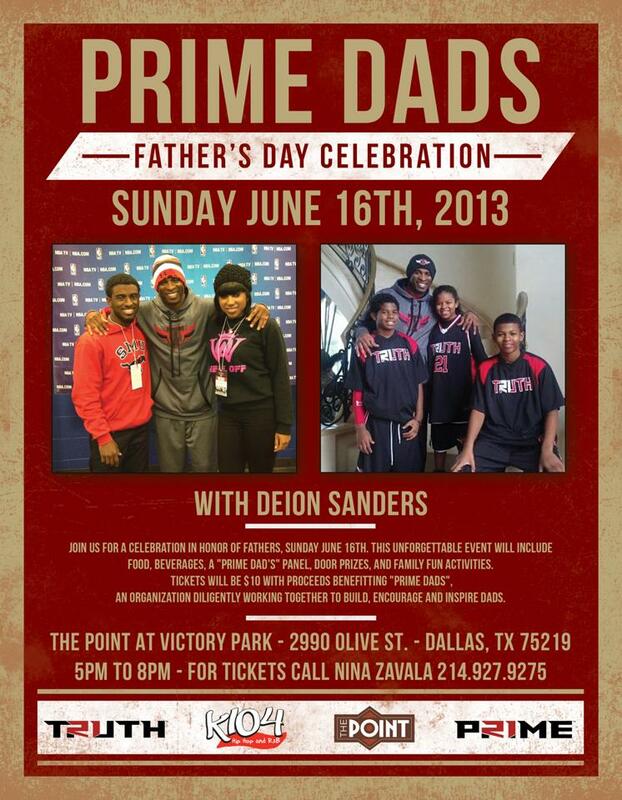 Join us Sunday, June 16th for Prime Dad’s Fathers Day Celebration with Deion Sanders at The Point at Victory Park (2990 Olive St.) from 5pm-8pm|. This memorable event will include food, beverages, “Prime Dad’s” panel, door prizes, and family fun activities. Tickets will be $10 with proceeds benefitting “Prime Dads”, an organization diligently working together to build, encourage and inspire dads.